In this “ground-breaking” comedy, an earthquake looms as an anxious journalist improvises through the misadventures of making her first documentary. Anxious about an earthquake predicted to hit the Pacific Northwest, Journalist Roberta Aguilar (Rochelle Muzquiz) goes to see a therapist. Dr. Chameleon (Casey Pfeifer) is not Roberta’s first choice due to her questionable methods, but Roberta leaves the session with one solid piece of advice: to channel her anxiety into making her first documentary. So, over the next year, she interviews locals around Portland about earthquake preparedness to make peace with her own inner shakiness. With the documentary portion of the film structured much like a variety show, Half-Quaked features improvised interview scenarios with five main characters, all developed and portrayed by Casey Pfeifer, interspersed with vlog-like vignettes and spoof ads (and even one real-life interview!) of supporting characters created and improvised by a cast of talented Portland actors and friends. 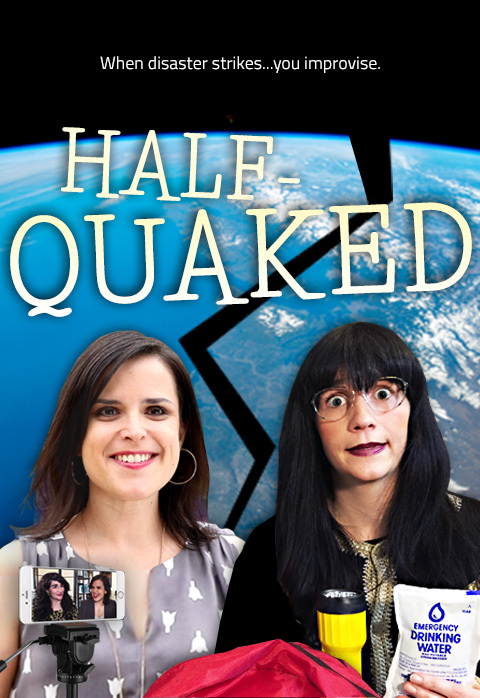 Half-Quaked – Official Trailer from Half-Quaked Film on Vimeo.